Pie Kingfisher landing with catch. 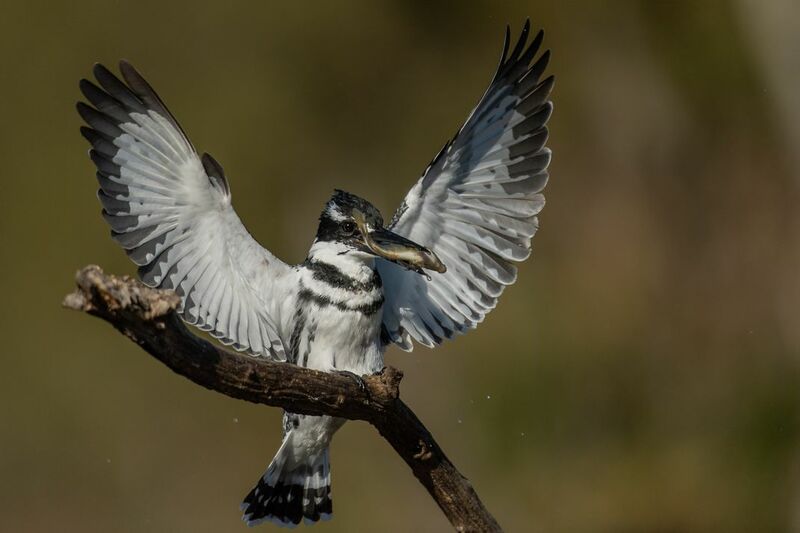 This Pied Kingfisher landed on this dead tree with a little fish it just caught. Date Uploaded: Oct. 30, 2018, 7:59 a.m.